Malcolm X talking to reporters in 1963, two years before his death. MANHATTAN — The confessed killer of Malcolm X was released from prison Tuesday, 45 years after he gunned down the civil rights icon in a Washington Heights meeting hall. Thomas Hagan, 69, was originally scheduled to be paroled Wednesday. But because his paperwork was already in order, he was allowed to walk out of a minimum-security prison in Harlem at 11 a.m. Tuesday, New York State Department of Correctional Services spokeswoman Linda Foglia said. For all practical purposes, Hagan’s life won’t change much now that he’s out of jail. Since 1989, he has been allowed to leave prison on a work-release program in which he spends several days working and visiting his wife and children in Brooklyn. At the time of his release, he was spending two days a week behind bars. 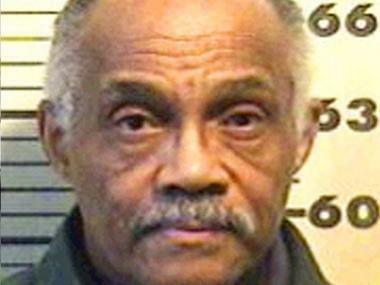 Thomas Hagan, 69, killed Malcolm X on Feb. 21. 1965. In 2008, Hagan was living in Sunset Park, Brooklyn, and working in a fast-food restaurant, according to the New York Post. A state parole spokeswoman said Hagan will have 24 hours to meet with his parole officer, who will set the conditions of his supervision. Prior to his release, Hagan had tried more than a dozen times for parole. He was finally approved earlier this year. In a March 3 interview with parole officials, he said he was sorry, and that the things that motivated him to kill Malcolm X on Feb. 21, 1965 were wrong. “I’ve had a lot of time, a heck of a lot of time to think about it,” Hagan said, according to transcripts obtained by DNAinfo. In prison, Hagan obtained a master’s degree in sociology. He hopes to become a substance-abuse counselor when he gets out. He has also been volunteering at a mosque, according to the transcripts. Hagan was a 22-year-old rank-and-file member of the Nation of Islam when Malcolm X split from the group and went public with allegations that its leader, Elijah Muhammad, was fathering children out of wedlock. Nation of Islam ministers responded with charges that Malcolm X was a lying hypocrite, and was planning armed attacks against group members. So Hagan and a couple others got together in New Jersey and planned to assassinate him. On Feb. 21, 1965, they gunned Malcolm X down as he spoke at the Audubon Ballroom in Washington Heights. 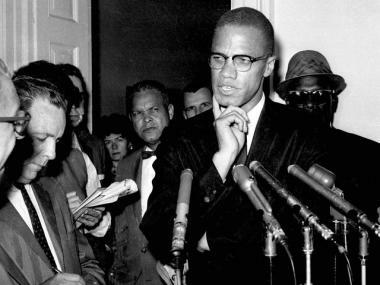 “Of course, as we know as history has revealed, a lot of what [Malcolm X] was saying was true,” Hagan said, according to the transcripts. Hagan has maintained that the two other Nation of Islam members who were convicted with him — Muhammad Abdul Aziz and Kahlil Islam — were not part of the plot. In his parole interview, Hagan repeated claims he made in a 1970s affidavit that his accomplices were two other men who were never charged.